Online satellites are a big part of the story of how tournament poker grew so popular. The World Series of Poker’s Main Event exploded in large part based on the idea that a satellite that cost you a few dollars to play in could land you on a real life tournament where you could win millions of dollars. Who knew, then, that requiring people to actually use the seats they won in satellite would be such a controversial stance? But that was exactly the position that PokerStars took last week, and one that caused a lot of pushback from its players. That’s why the world’s largest online poker room decided to reverse course this week, giving back players the flexibility to do what they want with their satellite winnings. Traditionally, players on PokerStars who won a satellite seat have been able to withdraw from the tournament they’ve qualified for. They would then receive the buy-in amount in Tournament Dollars (or $T), a currency that could be used to buy into any tournament on the site. But over the last two months, PokerStars slowly rolled out a new rule, one that only started affecting players in large numbers last week. While most players could still take the $T at will, that was no longer going to be the case for players who entered a satellite that they bought into using Frequent Player Points (FPPs). For those players, the first seat they won into a given event would have to be played; after that, all additional seats won could still be turned into $T. This change caused some outrage among players who primarily used FPP satellites as a way to earn $T. While this included some regular tournament players, it was especially damaging for high-end cash game players who wouldn’t normally play tournaments, but did so as a way of gaining value from their FPPs. These players would often play satellites just to win $T and then sell those dollars at a slight discount to tournament players. 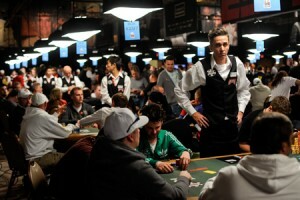 That inevitably led to complaints, which in turn quickly led to a reversal in policy by PokerStars. MikeJ went on to note that PokerStars would likely still go ahead and make players use their tournament entries at some point, as that’s the whole point of having satellites in the first place. This situation was most damaging to players who had collected a large number of FPPs, but were not playing enough to reach Supernova status. While all VIP players can trade in FPPs for cash, only Supernova players can do so at a rate better than the expected return on FPP satellites, which makes the satellites the most valuable way to spend points for most players.